Many materials such as plastics in siding or modern decks, building and auto paints or other surface coatings may suffer fading or decomposition when exposed to sunlight, salt and the effects of weather. Therefore, evaluating the resistance to ultraviolet (UV) exposure, salt spray and weathering is critical for the selection of materials in product design. Natural weathering tests in outdoor environments often require too long of a duration to meet required test turnaround times. Accelerated UV exposure and weathering testing in a controlled laboratory environment can significantly reduce the amount of time from months, or even years, to just days or weeks. 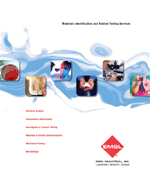 EMSL Analytical, Inc.’s weathering test instrumentation includes multiple UV, salt spray and Xenon light test chambers from such manufacturers as Q-Lab and Ascott Analytical Equipment. 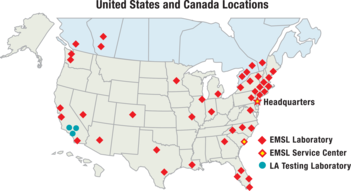 Samples are exposed to selected Xenon arc or UV irradiation while undergoing controlled humidity, corrosive media spray, and temperature cycles under a wide range of conditions.